Attention-grabbing wedge sandals for the true fashionistas only. 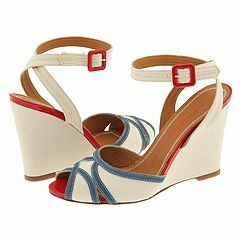 Fabric upper with leather trim detail. Leather ankle strap with adjustable buckle. 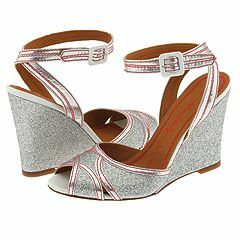 Wedge heel. Leather sole. Made in Italy.